An Honorary Member is someone who, ( having been part of the EC), has served ASSITEJ in an outstanding manner through participating in and contributing towards international activities and leadership over a long period, fulfilling the mission of the association. He was instrumental in forming the Leeds Children’s Theatre in 1936 and produced plays for that and many other local groups. In 1946 he began organizing the Brighouse Children’s Theatre. In 1948 he was appointed County Drama Adviser to the West Riding Education Committee and served until his retirement in 1973. He helped found the British Children’s Theatre Association (BCTA) and served as Secretary for many years. He was closely involved in early meetings that culminated in the creation of ASSITEJ and was elected Provisional President in 1965 at the Paris Constitutional Congress and elected President in 1966. In 1927 he started his first theatre for children in Transcaucasia named the Russian Theatre for Young Spectators. In 1933-1945 he was managing and artistic director of the Griboedov Russian Drama company in Tbilisi. He was appointed managing director of the Moscow Central Children’s Theatre from 1945-1974. From the beginning of ASSITEJ’s existence, Shakh-Azizov was elected Vice-President twice (1966 and 1972); he was elected President in 1968 and 1970; was head of the Soviet ASSITEJ Center from 1965-1974. Actor & director of Army Theatre, Realist Theatre and Jirí Wolker Theatre. Directing professor at Academy of Arts. He was Professor of Directing at the Academy of Arts in Prague. He was involved in ASSITEJ since the beginning of its creation and was appointed to the Preparatory Committee. 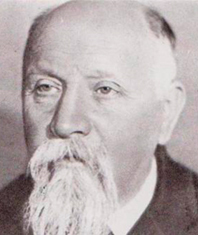 Prague was elected as member of the first ASSITEJ EC and he continued as representative until the 1970s. He hosted the 1st International ASSITEJ Congress in Prague in 1966 and was elected Vice President for 4 terms and President for one. He founded the National Center of Czechoslovakia and served as President from 1965-1973. Director of School of Drama and Dean of the College of Fine Arts at University of Oklahoma. Board member of American Theatre Association, President of their national Children’s Theatre Association and President of the International Association of Fine Arts Deans. USA representative at Founding Congress of ASSITEJ . EC member from 1965-1975. He was USA representative to ASSITEJ, twice elected as Vice President from 1968-1972 and elected President from 1972-1975. He began the writing of The History of ASSITEJ in 2002 with three volumes published. 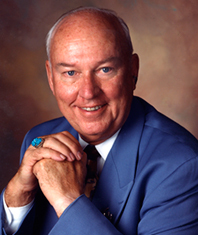 He was producer and director of the professional Southwest Repertory Theatre in Santa Fe, New Mexico from 1988-1994. He was Board Member of the American Theatre Association, President of their national Children’s Theatre Association, and President of the International Association of Fine Arts Deans. 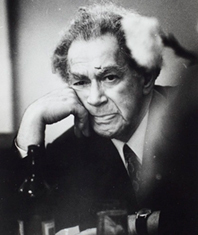 He was named a Fellow of the American Theatre in 1985. She began her career as an actress at the left-wing Kollektiv junger Schauspieler in Hamburg from 1930-1933 and then was manager and actress at Kabarett “Laternenanzünder” from 1945-1947. She was head of the theatre in Neustrelitz from 1949-1950 and of the theatre in Potsdam from 1950-1957. In 1959 Rodenberg became head of the “Theater der Freundschaft” (today Theater an der Parkaue) in Berlin. She was founder and director of the Bureau for International Questions on Theater for Children and Young People in the GDR in 1973. She was member of the ASSITEJ Preparatory Committee in 1964-1965, member of the EC from 1965 on, and served three terms as President from 1978-1987. In 1973 the GDR Center for ASSITEJ was established as an independent office and she was placed in charge. She established the bi-annual International Directors Seminar as well as the Hallenser Workshop Meeting and Playwright’s Competition. In 1989 she participated in the establishment of the Children and Youth Theater Center of Germany in Frankfurt. He won a number of awards in both acting and directing in Australia. In 1975 he became arts administrator and bureaucrat at the Australia Council, the Australian Federal Government’s Arts Advisory and Funding Body. He was Youth/Puppetry Project Officer of the Theatre Board, later became Senior Project Officer and finally Director. He was a significant supporter of the development of Australia’s first theatre-in-education companies. In 1985 he became Australia’s representative on the ASSITEJ EC. In 1987, he was director of the IX ASSITEJ World Congress and General Assembly in Adelaide. In 1990 he became Vice President of ASSITEJ and President in 1993 and 1996. In 1989 he was appointed a Member of the Order of Australia for services to youth arts and arts administration. 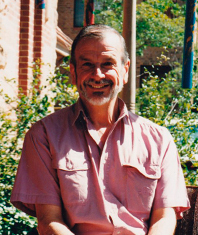 He became artistic director of the Come Out Festival until 1991 and director of Youth Performing Arts Australia (YPAA) and ASSITEJ Australia until his retirement in 1999. In 1994 he was presented with the Frannie Arts for Young Audiences Award for outstanding contribution in the field of arts for Young Audiences from The Canadian Institute of the Arts for Young Audiences, Vancouver, B.C. He chaired the Theatre and Film Department for 12 years at Brigham Young University, was coordinator of the Child Drama Program, and founded the Young Company. He directed over 40 productions for young people and adults across the USA. He was member of the ASSITEJ EC from 1988-2002, as Treasurer (1993-1999) and President (1999-2002). 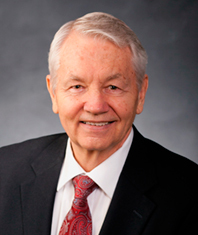 He was President of TYA USA from 1988-1995. He was editor of the ASSITEJ/USA INTERNATIONAL HOT LINE from 1989-2001. He was on the Board of Directors of the American College Theatre Festival (1974-79), Treasurer of the American Theatre Association (1972-73), President of the Children’s Theatre Association of America (1985-86), President of the American Alliance for Theatre and Education (1987-88), and served on the Education Advisory Panel of the John F. Kennedy Center for the Performing Arts, Washington, DC (1986-91). He was awarded the Gold Medallion of Excellence from the American College Theatre Festival in 1978, a Presidential Citation from the American Alliance for Theatre and Education in 1993, elected to the College of Fellows of the American Theatre in 2002, and awarded a Medallion for Excellence by the Children’s Theatre Foundation of America. He worked as Assistant Professor at Frankfurt University, where he organized two conferences about TYA. 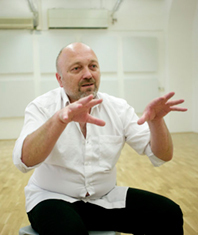 In 1989 he founded the Kinder-und Jugendtheaterzentrum in der Bundesrepublik Deutschland. In 1991 the center continued the work in the former ASSITEJ GDR office in Berlin and has had two offices ever since. The same year, he founded the first National Festival for TYA in Germany with the Grips Theater and the Theater an der Parkaue. He established two prizes for TYA, honoring dramatic literature for young people. In 2012 he was appointed by the UNESCO as Chair in Cultural Policy for the Arts in Development. He was elected to the Board of ASSITEJ Germany in 1986 and has been serving as President from 1997 onwards. In 1991 he established the Archives of ASSITEJ in Frankfurt. In 1999 he was elected to the ASSITEJ EC as Vice President and then as President from 2002-2011. He presented The ASSITEJ Annual, a Yearbook about TYA in 1996. In 2011 he created the new magazine for ASSITEJ, presented at the XVII World Congress at Copenhagen/Malmö. 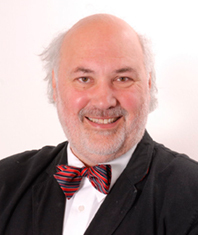 He has been President of the European Network of Arts Organizations for Children and Young People, Vice President of the German Federation for Arts Education, Chair of the Advisory Board for Theater in the State of Lower Saxony, member of the Advisory Board for Theater and Dance in the Goethe Institute, and is ad personam appointed member of the German UNESCO Commission and the ITI. Léon Chancerel, Alexander Bryantzev, Mila Milanova, Victor Ion Popa, and Charlotte Chorpenning. The General Assembly approved the naming of these 5. Founder of the Czechoslovakian Children’s Theatre; died in 1964. Established la Compagnie des Comédiens Routiers in 1929. Established a Center of studies and dramatic presentations in 1933. He created le Théâtre de l’Oncle Sébastien in 1935, an artistic theatre for children. Artistic Director of Festival de Sarlat. Founded ATEJ in France in 1957. Worked on creation of ASSITEJ and delivered welcoming address in first General Assembly. Co-founder of ASSITEJ; died in 1965. Author of children’s plays of high quality; died in 1946. Chorpenning served as a playwright-in-residence for community theatres in Minnesota. Her article, "Putting on a Community Play" in the Quarterly Journal of Speech Education in 1919, led to her national prominence and requests for her services throughout the United States. Chorpenning joined Northwestern University’s School of Speech as an instructor of dramatics and worked with recreational drama and on university theatre productions. In the spring of 1932, she was offered the job of Director of the Goodman Children's Theatre, part of the Chicago Art Institute, at the age of 60. Chorpenning wrote at least 55 children's plays, many of which were published by Coach House Press, Samuel French, Children's Theatre Press (later named Anchorage Press) and Dramatists' Play Service. Russian theatre director, public figure, outstanding practitioner and theoretician of artistic and pedagogical theatre for children. From 1905 to 1920, he was an actor and director of the Traveling theatre where he produced more than 60 shows. Some of them were meant for children. In 1921, he headed commission on setting up a repertory theatre for children. The theatre was opened on February 23, 1922 and he was running it till the end of his life. 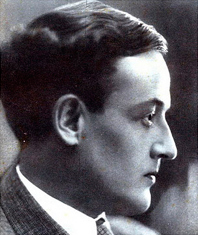 Bryantsev had worked out the idea of special theatre for young spectators and called it “a theatre of special assignment”. Such theatre was based on alliance of artists with pedagogical way of thinking and pedagogues with artists’ feeling. Numerous conceptions he stated in his books and articles on theatre for children are relevant up to now. The Leningrad theatre for young spectators, which he had run all his life, was named after him. Nowadays the BRYANTSEV THEATRE FOR YOUNG SPECTATORS in Saint-Petersburg is one of the major, oldest and respected companies for children and young people in Russia. 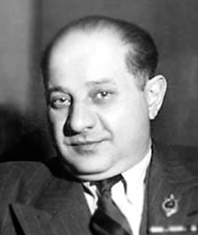 The son of Jewish parents was named Hans Rudolph Rosenberg, but adopted a number of pseudonyms during his political career. After school he completed his education at the acting school of Max Reinhardt's Deutsches Theater in Berlin. He was a volunteer of the First World War, joined the labour movement and became a member of the communist party. Until his emigration he worked as actor and director. Between 1932 and 1948 he was employed in the culture business of the Soviet Union. Back in what was to become the German Democratic Republik (GDR) he became a well connected member of the society. He assumed several influential positions in the cultural and political system of the GDR. 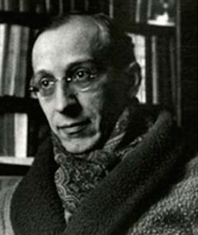 In 1949 he founded the Theater der Freundschaft in Berlin and was the first artistic director of this important component of the socialist educational policy. Later his wife Ilse Rodenberg took over this theatre and established the theatre of the GDR as a role model of the theatre for children and young people worldwide. In 1978 Hans Rodenberg was honoured with the Honorary Membership of ASSITEJ. Studied at Central School of Speech Training and Dramatic Art in London. Actress and director. Formed Mobile Theatre Ltd in 1951 performing plays for young people on tour. Launched Caryl Jenner Productions Ltd and the Unicorn Theatre for Young People. She was member of the Young People’s Theatre Panel of the Arts Council of Great Britain. 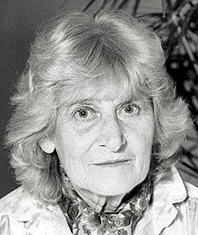 She represented Great Britain in the EC from 1968-1972. She founded the Children’s Theatre of Charleston, West Virginia in 1932 and in 1935 the Children’s Theatre Press in Kentucky (later The Anchorage Press, Inc.) that has published over 100 plays. She founded and sustained the Children’s Theatre of Anchorage, Kentucky, Stage One of Louisville, Kentucky, and the Actor’s Theatre of Louisville. She was member of the College of Fellows of the American Theatre Association, and for two years was director of the Children’s Theatre Conference. She was also Chair of the Board of Trustees of the Children0s Theatre Foundation of America, Inc.
She was advocate of the founding of ASSITEJ, served as member of the Preparatory Committee from 1964-1965, was EC member from 1965-1967 and served as advisor to the EC from 1972-1975. Miss Spencer was a founding member of the US Center for ASSITEJ in 1965 and served on its first Board. She was founder, dancer, choreographer, and artistic leader of the Scapino Ballet Amsterdam from 1945-1970. 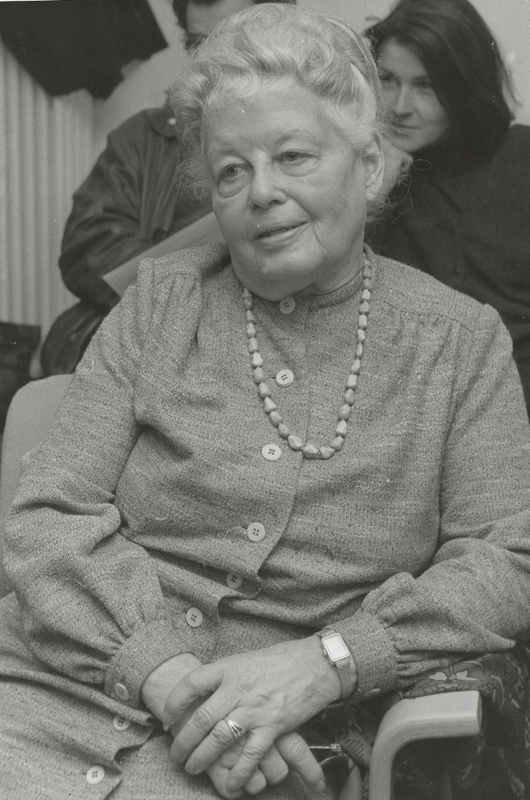 She founded the “Jeugdtheater Amsterdam” in 1971 and was founder and member of the board for the Individual Secondary and Art Education Schools of Amsterdam. She was Board Member of the Netherlands Councils and Committees on the Arts as well as ITI and the Netherlands Dance Council. 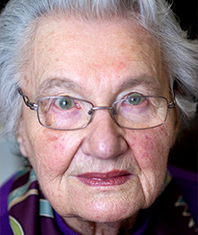 She was appointed a member of the ASSITEJ Preparatory Committee from 1964-1965, was EC member from 1965-1975 and founder and Chair of the Netherlands National Center from 1967-1975. The Netherlands theatre for children and youth honor her annually by awarding a prize given in her name. Founder of ASSITEJ Spain, and first president of our Association. She starts her links with the theatre for children in 1942, through the “Femenine Section” in FET and JONS, the only entity that, in the 40s, was working in activities of this kind. In 1960, the Company "Los Títeres" (puppets), was created with her as a director. It was the first professional Company working for children, from the end of the civil war. During the 60s and 70s, She attends many national and international congresses and meetings about theatre for children, as a responsable of “Theatre for youngsters” in the Ministry Tourism and Information. In 1965, Spain became part of ASSITEJ, as a founder, participating in the Congresss where first statutes were approved. It was defended the quality of theatre for children, done by professionals, just as theatre for adults. Being the president of AETIJ (the first name for Assitej Spain), she was in charge of getting information from Spanish speaking countries and spreading it between Assitej members. The Boletín Iberoamericano de Teatro para la Infancia y la Juventud was created. After half century, this publication still is on. Duing her presidence, the theatre texts prize was created, and the workshops and meetings betwwen puppeteers were organized. UNIMA Spanish Centre was born thanks to this initiative. She was director and theatrical educator at the Zagreb Theatre for Young People, where she staged more than a hundred performances for and with children and young people. She published a large number of writings on children’s dramatic creativity, in professional periodicals and publications in Croatia and abroad. She was a long-standing member of the ASSITEJ EC. She was one of the founders of the Mala Scena Theatre in 1989, where she was director, writer and head of its drama studio. She received the awards: Young Generation in 1972 for direction of the play Tomcat Genghis Khan and Miki Trasi; direction award from the Dramatic Artists’ Society in 1984; Dubravko Dujsin Award in 1988 for her long productive theatrical work with children and young people at the Zagreb Theatre; and the Vladimir Nazor Life Achievement Award. He was member of BANDEN, a theatre company for children, from 1976-1984. He served as head of TEATERCENTRUM from 1987-1996, organizer of the large annual Danish Children’s Theatre Festival in April. He was one of the key-persons in re-organizing the Danish Center for ASSITEJ in 1983. He was elected as the first new Secretary General of ASSITEJ after Mme. Rose-Marie Moudoués; he served for two terms as Secretary General. The national center became ASSITEJ Denmark/TEATERCENTRUM. His new approach to the administration of ASSITEJ improved administrative practice and procedures, improved communication among centers, implemented a new subscription system and changed ASSITEJ from a Euro-centric organization to a global one. In 1997 he became administrative director of FAIR PLAY. He was Chair of the Children’s Theatres’ Association of Denmark and the Regional Theatre Council of West Zealand County. He was director of the international children’s theatre festival CARAVANEN. He received the 25th Anniversary Prize of the Children’s Theatre Association, the Cultural Prize of FTF, and the Children’s Theatre Award of the City of Horsens. She first worked with Léon Chancerel (1945-1965) and then with Louis Jouvet (1945-1951) at the resumption of the Society of the History of Theatre which had been interrupted during WWII. From 1948 she served as Engineer to the C.N.S.R. for Theatrical Sciences. She became director of the Documentation Center of the Library of the Society of the History of Theatre and the Association of Theatre for Children and Young People (ATEJ). She participated in the creation of the Review d’Histoire du Théâtre and was author and translator of programs on theatre for the radio titled Prestige du Théâtre. She was involved in the founding of the International Federation of Theatrical Research (FIRT) and the Institute for Theatrical Research in Venice, Italy. From 1980-2000 she headed the Commission to help with the creation of dramatic works and to promote the production of unpublished works, under the Ministry of Culture. She participated in the founding of the French Association of Theatre for Children and Young People (ATEJ), as well as ASSITEJ. Moudoués drew up the Constitution of ASSITEJ (based on that of ATEJ) for discussion, amendment, and adoption by the Constitutional Congress in Paris organized by ATEJ in 1965. She was member of the ASSITEJ EC from 1965-1990. 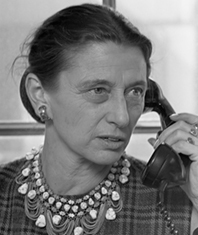 In 1966 she established the French National Center for ASSITEJ. She was Secretary General for 25 years. She was a permanent member of the Cameri Theatre in Tel-Aviv since 1948. She was the founder and director of the National Theatre for Children and Youth from 1970 on, with the Cameri Theatre. She was appointed Lecturer to the Faculty of Drama at Tel-Aviv University in 1973. She attended the Constitutional Conference in Paris, 1965 and was member of the ASSITEJ EC from 1970-1975. With her great vision, in 1970 Mrs. Porat founded the first professional repertory theatre for children in Israel, (which today has become named after her). After she convinced the cultural establishment in Israel to recognize the rights for children and youth to have a theatre “just like adults”. Through her vision many other theatres were founded and developed original Israeli drama as well as a new generation of artists dedicated to theatre for children and youth grew and flourished. 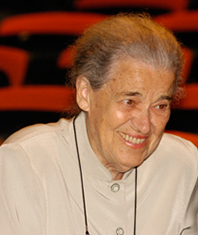 Throughout these same years the Israel branch of ASSITEJ was established becoming a leading centre, guiding the Art of Theatre for Children in Israel, Orna was the living spirit, whose vision and inspiration led the way throughout all these years, for the creation of theatre for young audiences. He established the Association of Children’s Playwrights in 1948, which later became known as the Japan Children’s Theatre Association, Inc. In 1955 he was appointed a Judging Committeeman for the Art Festival sponsored by the Governmental Agency for Cultural Affairs and in 1974 was appointed a Project Commissioner for its Children’s Art Theatre. He was the first President of the Japan Center for ASSITEJ and in 1984 was elected Member of the ASSITEJ EC. In 1984 he also became member of the Board of Directors for ITI. He became Head of the Japan Children’s Performing Arts Festival. She taught creative dramatics in public schools and universities since 1952. She is author of many publications on children’s theatre and, theatre and the handicapped, which have been translated into many languages. 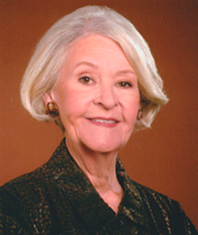 For the American Theatre Association (ATA) she served on their Board of Directors, key committees, organized two national conferences and founded their handicapped program (ATD). 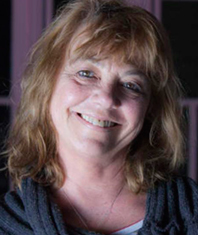 Shaw’s honors include a CTAA Special Citation, Kennedy Center’s Outstanding Educator Award, Northwestern University’s Award of Merit, a Medallion from the Children’s Theatre Foundation, and TYA USA named the Ann M. Shaw Fellowship Awards in her honor. She attended her first ASSITEJ meeting at the IV International Congress in Canada and USA where she programmed the Creative Drama sessions. She was the USA representative to the ASSITEJ EC from 1978-1987. In 1981 she created the new US Center for ASSITEJ and was President until 1987. Dr. Shaw directed the World Theatre Festival for Young Audiences and Symposium at the New Orleans World’s Fair in 1984. She was twice elected ASSITEJ International Vice President (1981 and 1984) and served as USA voting delegate at eight Congresses. In 1960 he founded the Théâtre des jeunes Années in Lyon as its playwright and director. In 1968 he created the new Théâtre du Huitième with Marcel Maréchal. In 1971 he was named technical advisor in the dramatic arts to the Ministry of Youth and Sports. He founded the Rencontres Internationales Theátre Enfance jeunesse (RITEJ) in 1980 with Michel Dieuaide, which became the Biennale du Th´âtre jeunes Publics/Lyon. 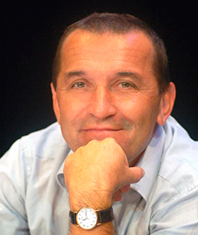 Yendt was named Director of the National Drama Center by the French Minister of Culture. Starting in 1993 Yendt was President of ATEJ. He was Advisor to the ASSITEJ EC from 1981-1993 and Vice President from 1993-1999. 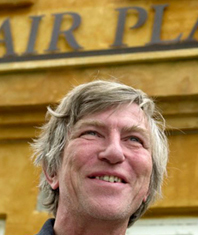 He became Co-Artistic Director of la Biennale du Théâtre jeunes Publics/Lyon in 2004. He was Professor at the Seoul Institute of the Arts and Artistic Director of the Dong Rang Repertory Company. 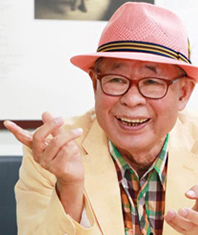 In 1985 he founded the Dong Rang Theatre for Young Audiences, the first professional theatre company for youth in Korea. He is Founder and Director of the Seoul Children’s Theatre Festival. He is a co-opted ASSITEJ EC member and has been working as a member of the Artistic Commission since 1991. He was President of ASSITEJ Korea from 1986-1993 and from 1998-2006. From 1993-2006 he served as Artistic Director of the Seoul Performing Arts Festival for Young Audiences and as Dean of the School of Drama at the Korean National University of Arts in Seoul from 1994-2000. He organized the 14th ASSITEJ World Congress and Festival in Seoul in 2002. 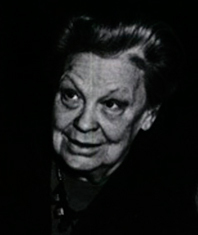 In 1969 she worked for the Soviet Women’s Committee at the Pan-Russian Theatrical Society and functioned as Secretary and Translator for the Soviet Center of ASSITEJ. She organized and coordinated the committee responsible for the VIII and XII ASSITEJ World Congresses in Moscow and Rostov-on-Don, respectively. She initiated and coordinated the first Russian International Theatre Festivals for children and young people (MINIFEST) in Rostov-on-Don (1989, 1991, 1993, 1995, 1996). She organized the first International Seminar for Theatre Managers in Russia, with her Netherlands counterparts. 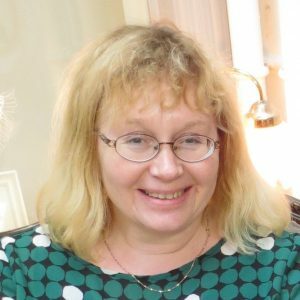 In 1996 she created a special volume of the theatre magazine Theatre Life (Teatralnaya Zhizn) dedicated to problems of survival of theatres for young spectators in new Russia and to ASSITEJ activities. From 1996-2000 she was member of the Advisor’s Council of Theatre Life Magazine, the George Soros Foundation, and the editorial Board of the new Moscow Quarterly Theatre for Children and Young People. She was Advisor to the ASSITEJ EC from 1996-2002 and jury member for the Honorary President’s Award. 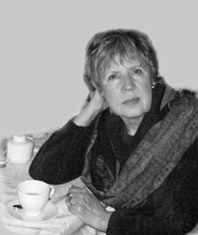 Since 2000 she is member of ASSITEJ Russia, the Theatre Association of Russia and the Russian Author’s Society. 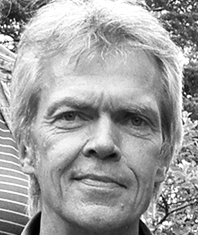 From 1985-1987 he worked as production manager at the Wästswänska Teatern in Uddevalla and as producer at the TURteatern from 1987-1999. He was instrumental in the establishment of Bibu. se –the Swedish National Performing Arts Biennial for Children and Youth. He worked as Media Officer with the 10th ASSITEJ World Congress and Festival in Stockholm and was elected to the ASSITEJ Sweden Board as Treasurer and later Vice Chairman. He was asked to be ASSITEJ Executive Officer in 1998 and was elected Secretary General in 1999; he was re-elected twice to that position in 2002 and 2005. He established and managed an African ASSITEJ Network together with the Swedish International Development Cooperation Agency, which brought various African countries into ASSITEJ. He was appointed Secretary General with Peter Manscher for the Swedish/Danish Secretariat for the XVII World Congress of ASSITEJ. He is now General Manager of ASSITEJ Sweden. 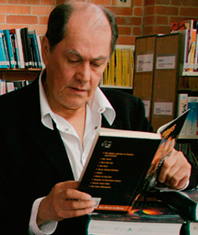 In 1966 he joined the pioneering Theatre in Education (TIE) team at Belgrade Theatre, Coventry, and since then has created and directed over 100 plays for young audiences. He founded and became Artistic Director of Merseyside Young People’s Theatre from 1978-1989, where he commissioned Willy Russell to write the musical Blood Brothers. From 1994-2008 he was Artistic Director of Cleveland Theatre Company (now Theatre Hullabaloo) in Darlington, North East England. From 1990 to 2008 he directed the annual Takeoff Festival of professional theatre for young audiences to celebrate the best of TYA in the UK and overseas. He served ASSITEJ as International Treasurer from 1989-1993 and was elected to the EC for 2008-2011. As Chairman of TYA-UK Centre of ASSITEJ he compiled a Guide to UK TYA and edited regular newsletters. She was first elected as ASSITEJ EC member at the XV World Congress in Montreal in 2005. She served as Vice President for two terms: 2008-2011 and 2011-2014. María Inés is a playwright and writer for children and adolescents, TYA director and drama and playwriting professor. She helped build a very active center in Argentina, the Association of Theatre for Children and Young People Independent Practitioners (ATINA), and promote the work of ASSITEJ in Latin American countries through various collaborative projects such as workshops on Taboo Topics, the project School Yard Stories, and the International Theatre for Children and Young People Researchers and Critics Forum in collaboration with ITYARN and the IberoAmerican Network. She is founder member of IberoAmerican Theater for Children and Young People Network from ASSITEJ. He worked as an actor with companies such as Sydney Theatre Company, Melbourne’s Playbox Theatre, State Theatre Company, Harvest Theatre, Patch Theatre Company, Stage Company, and Vitalstatistix. He founded the Boulevard Theatre in the 1990’s and was its Artistic Director. From 2002-2008 he was Vice President of ASSITEJ. 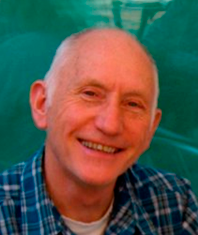 He co-edited three ASSITEJ Year Books with Wolfgang Schneider. Mack was the Australian International representative of YPAA/ASSITEJ Australia from 2002-2008. He was Chair of the ASSITEJ EC’s Congress Working Group from 2005-2008, and was responsible to the EC for the delivery of the XVI ASSITEJ World Congress and Performing Arts Festival in Adelaide. He co-founded the ASSITEJ playwright network Write Local, Play Global along with Kim Peter Kovac and Deidre Lavrakas, and developed the first ASSITEJ Next Generation program in conjunction with Kovac and the 2008 Adelaide Congress organizers. He was awarded an Australia Council Fellowship from 2008-2010 and in 2014 was appointed a Member of the Order of Australia for significant service to the performing arts, particularly theatre for children and youth. He was elected to the ASSITEJ EC at the XIV World Congress in Seoul in 2002 as the Austrian representative, after having taken over the reins of ASSITEJ Austria. He was appointed as Counselor to the EC from 2011-2014. As a member of the Executive Committee, he contributed greatly to revitalize the association through his ideas regarding festivals, dance and various collaborative projects. He promoted important changes within ASSITEJ making the association more active, inclusive and modern. One of his most important contributions was to make evident the need of bringing ASSITEJ community members together more than once at the congress every three years. This ultimately resulted in the ASSITEJ Artistic Gathering. He was also a great supporter of the Next Generation Project. From 1983-1989 he was engaged as an actor in the Youth Theatre of Zagreb. 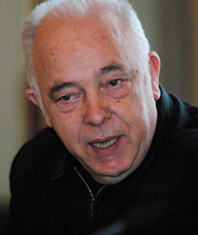 He founded the Theatre Mala Scena with Vitomira Loncar where he was Artistic Director as well as director and actor. He has worked as a director of international projects. He became a member of the ASSITEJ EC in 1999 representing Croatia at the XIII World Congress in Tromso, Norway. He was elected Secretary General of ASSITEJ in 2008 and re-elected in 2011. He is the founder of Theatre Epicentre. 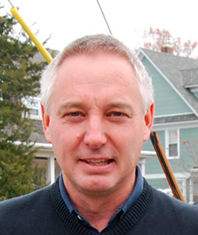 Peter has worked in the field of professional performing arts for young audiences since 1977. As a member of Teatercentrum’s staff (1988-1995, 1998-2009, 2011-2017). As a member of the staff in the Nordic council of Ministers, committee for performing arts (1995-96). As a counsellor for the ASSITEJ EC (1998-2002). As a board member of ASSITEJ Denmark (1994-2000). As secretary general of ASSITEJ Denmark (2000-2009, 2012-2013). As secretary general of the ASSITEJ World Congress and festival (Copenhagen/Malmoe 2008-2011). Peter started working for ASSITEJ Denmark during the re-forming of the centre in the mid-80’s. The Danish ASSITEJ office shared premises with Teatercentrum and thus became an active part of the network. The Danish centre hosted the International EC-meeting in Odense in 1988 – and soon after it was decided to play a more active part in the international work though candidating for the General Secretariat at the congress in Stockholm in 1990. The secretariat moved to Copenhagen, and Peter became a board member of the Danish centre. A few years later he was appointed counsellor for the EC and took his part in the development of the internet and the communication in the organization. Peter became one of the two secretary generals for the ASSITEJ World Congress in Copenhagen and Malmoe in 2011. Trained at Central School as an actress and drama teacher, she worked in various Theatre-in-Education teams, starting at The Belgrade Theatre, Coventry. She has written plays for stage, TV and radio and created original children’s productions for the Regent’s Park Open Air Theatre. From 1989-2002 she was Artistic Director of the Polka Theatre for Children where she directed and produced over 60 productions. From 1996-2002 she was International Representative of TYA UK and member of the ASSITEJ EC. She served as International Treasurer from 199-2002. 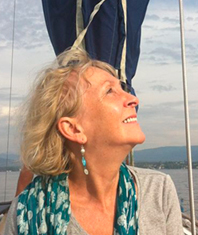 She is a dedicated and vastly experienced writer and director in the UK and very active through her advocacy work both with TYA UK and also Action for Children’s Arts, a voluntary organization which promotes art for children. She was awarded the Member of the British Empire medal in Queen Elizabeth’s Jubilee Birthday Honours list 2002 for her services to children’s drama, and was elected Fellow of the Royal Society for the Arts in 2008. She is Vice Chair of Action for Children’s Arts, Co-Director of A Thousand Cranes Theatre, Patron of Polka Theatre for Children, a member of TYA England and Secretary of IIAN, the International Inclusive Arts Network. 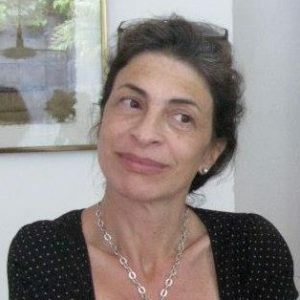 Marisa Gimenez Cacho has served three terms on the Executive Committee of ASSITEJ and during that time she has become a global leader of the association. 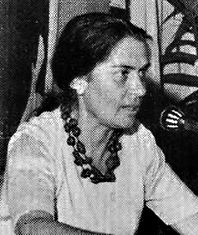 Her dedicated work in the last term as Secretary-General saw the secretariat move out of Europe for the very first time to be housed in Mexico. Her career as a cultural manager and artistic director, and her work on various publications reflecting the Mexican arts scene, gave her the experience and knowledge to ensure that ASSITEJ publications reached a new level of professionalism. She led the Publications committee for much of her term in office, and developed a new concept for ASSITEJ annual magazines which ensured representivity and excellence of both content, language and design. Her keen eye for design was also seen in the many World Day logos and brochures that were put out by ASSITEJ, and under her watch the magazine and newsletter became a more beautiful and functional tool. Her meticulous attention to detail and her interest in research has been seen in the careful keeping of records, and her interest in preserving and promoting the archives of ASSITEJ, she has ensured that the work of our association is better documented. She worked with her young team to ensure that the Mexican office was responsive and methodical in its approach to all members and non-members alike, and that Ibero-American participation in the association increased. Marisa Gimenez-Cacho is a dedicated and committed arts manager who has served ASSITEJ with distinction. 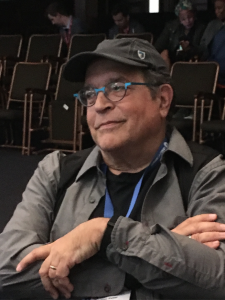 Kim Peter Kovac is a poet, a theatre educator, and the Artistic Director for the Kennedy Center Theater for Young Audiences, where he has worked since 1983 . He has been involved in ASSITEJ for over 19 years through his service on the board of TYA/USA, where he was international representative to ASSITEJ for 15 years (2002-2017), then in the executive committee of ASSITEJ for 12 years, including 6 years as Vice President. In 2011, he co-founded the ASSITEJ TYA playwrights network, Write Local/Play Global. The network today is a member of ASSITEJ and is present in over 50 Countries across 6 Continents. The network is a great source of scripts in TYA globally and is connecting Playwrights and theatre companies across the globe. Kim Peter helped in the development of the International Inclusive Arts Network (IIAN) and co-created the New Visions/New Voices program at the Kennedy Center for the Performing Arts (1991) where many young playwrights have been mentored every year from across the Globe. 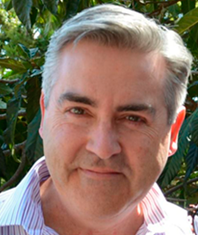 Kim Peter has been an extraordinary advocate, leader and ambassador of ASSITEJ and has mentored many young people, connecting people and creating opportunities for people wherever he could. Katariina Metsälampi has been active in ASSITEJ for almost three decades. She has been an influential and deeply committed boardmember and later chairperson of ASSITEJ Finland from 2000-2007. She was on the international Executive Committee from 2005-2011. She is honorary president of ASSITEJ Finland. Katariina currently leads the rapidly growing Small Size Network which she has supported from the very start with her enthusiasm and professionalism. Katariina’s approach to all she does is full of heart and soul. She is an initiator, a brilliant networker and a facilitator – which is a powerful combination. She is for example one of the godmothers of the very successful ASSITEJ taboo workshops. 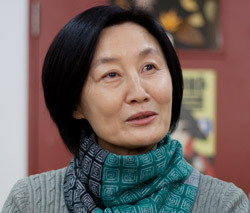 Young Ai Choi is Professor for Theatre for Young Audiences (TYA) at Korea National University of Arts. She has worked as Director of TYA Research Center at the National Theatre Company of Korea (2011-2015). She served ASSITEJ International on the Executive Committee (2005-2011) and Vice-President (2008-2011). She was one of the founding Members of ITYARN in 2006 and served on the ITYARN board until 2017. She has been instrumental in bringing her students to ITYARN and ASSITEJ events, and organized exchanges with other universities. Currently she is working as Education Director for TYA productions, especially for teenagers. Besides teaching and directing, she has presented papers, workshops and panel discussions in International Conferences in Italy, Austria, Japan, Hong Kong, Poland and other countries, always representing ASSITEJ or ITYARN.